Oh yes, it’s a review of the latest movie in the slew of Marvel characters that have hit the silver screen in recent years. I’m not much of a fan of the superhero genre (except for Spawn and Hellboy, but that probably should be discussed in a separate self-indulgent post) but I figured that since it’s based on a comic and screened worldwide, I might as well just run with it. My interest in the Captain America movie was sparked not by the trailer or posters, but by the promise that this would be the last movie that separated me from the epic payoff that Marvel had promised for so long – The Avengers. Still, I must say I was more hyped about the movie after I saw the trailer and got an overseas call from my parents who told me that they’ve just watched Captain America and they liked it. That was when I decided to roll up my sleeves, curb my sleepiness, and go for the Friday midnight screening of this movie. Captain America: The First Avenger’s story is very much self-contained; it begins with Steve Roger’s origins and his dedication to serve his country in the war and ends with a lead-up to the storyline in The Avengers. Without giving too much away, I’d like to say that I thought all the characters were given sufficient screentime and development, especially the relationship between Rogers and Peggy Carter (Captain America’s love interest). Nothing felt very rushed and I was just buoyed by the story – and this may be a point of contention to some, especially those who walked into the cinema expecting a Jerry Bruckheimer-esque action movie with minimal emotional investment. As a person who had absolutely no idea on the background of Captain America (and Thor and Iron Man for that matter, before their respective movie franchises), I felt that this was a strong introduction to the character, which bodes well for Marvel. Like many others who are being exposed to the Captain for the first time, I left the cinema feeling an urge to pick up a Captain America comic just to see if the stories in the comics are as good as what was depicted in the movie. 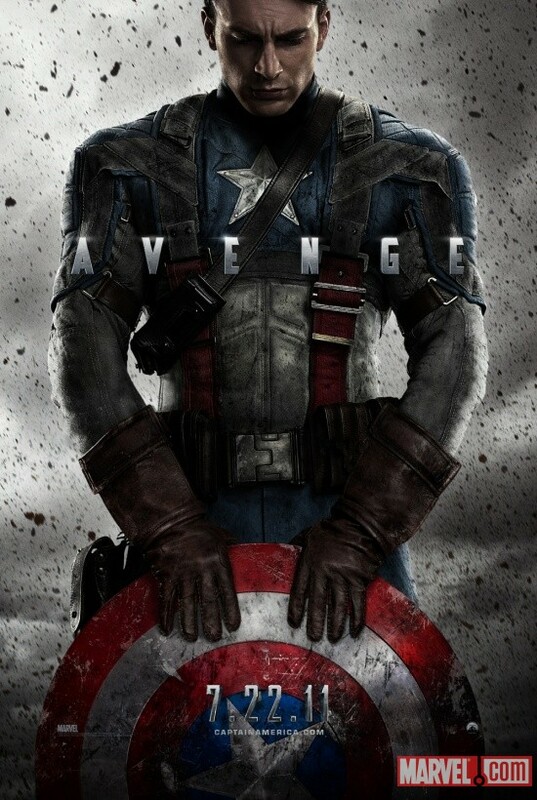 Of course, getting a hunk like Chris Evans to play the title role was a great marketing strategy on Marvel’s part. To Chris Evan’s credit, he plays the character well, even in the emotional bits of the movie, and I’m glad that Marvel ultimately didn’t exploit him (e.g. : make him appear in various stages of undress for no apparent reason) because it would’ve cheapened the whole experience. To sum it all up: Go watch Captain America even if you have no interest in comics; this might be your gateway drug.